Died of pneumonia , 27th July 1918, aged 20. Lived at 89 Gainsborough Avenue. Burnley, Lancashire. 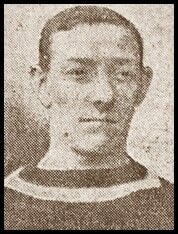 Son of Mr. and Mrs. Elijah Hall, of Burnley. 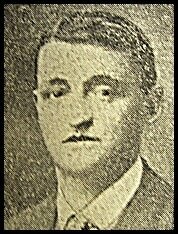 Frederick William Hanson D. C. M.
29th August 1919, aged 43. 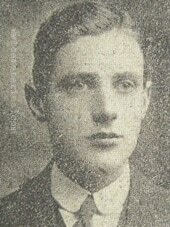 Son of George and Catherine Hanson, of Burnley; husband of Annie Hanson, of 17, Leyland Rd., Burnley. Born at Poona, India. 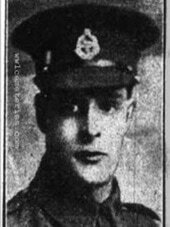 Died of Wounds , 3rd October 1916, aged 22. Lived at 56 Pritchard Street, Burnley, Lancashire. 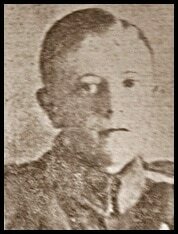 Son of John and Mary Alice Hargreaves, of 56, Prichard St., Burnley. Died as a result of gas wounds, eldest son of William and Emeline. He married Mary (nee Booth?) who, as a widow, married Franks brother Clifford on the very first day that the law was changed to enable a man to marry his brothers widow. Lived at 26 Haven Street, Burnley, Lancashire. 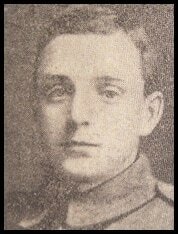 Died of wounds received on 1st July 1916. 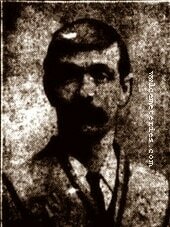 Died 8th November 1917. in Rochdale, aged 34. Lived at 12 Accrington Road, Burnley, Lancashire. 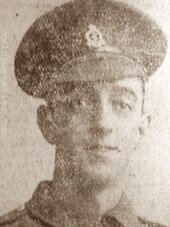 Died of pneumonia, 9th May 1918, aged 22. 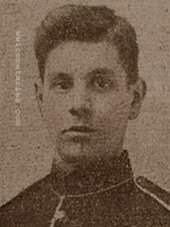 Severely wounded on July 6th, Corporal James Albert Jackson of the 1st East Lancashire Regt., was moved the following Saturday to King George's Hospital London, S. E. He was badly wounded in the head and throat and in all had sixteen shrapnel wounds. Some of the shrapnel in the head had penetrated to the brain, and there was very little hope of his recovery. 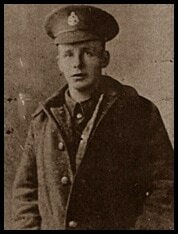 Died of appendicitis, 13th April 1916, aged 19. 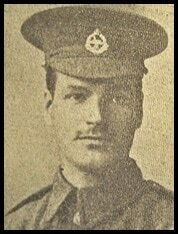 31st December 1918, aged 48. Died of Wounds in Zeebrugge raid, 23rd April 1918, aged 20. Lived at 14 Whittaker Street, Burnley, Lancashire.